Move more easily, live more serenely! Move more easily, live more serenely with the Alexander Technique! 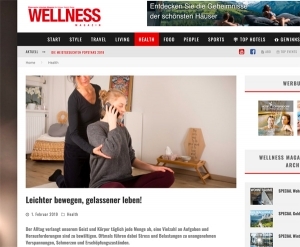 A short article about the Alexander Technique in Wellness Magazin announcing the open day of the Gesellschaft für F. M. Alexander-Technik Österreich at Museumsquartier in Vienn am 27th April 2019.